We all discovered Paddy by different routes, but if one follows the thread of certain ideas, one can often find it leads to Patrick Leigh Fermor. My own journey started with my interest in Byzantine history; the link with Constantinople and Steven Runciman being my link. It was therefore a great joy to hear from a former colleague with whom I had lost touch some years ago. Chris Wares has discovered Paddy through his interest in the work of Antony Beevor, and after finding this blog he wrote to me explaining his own Paddy journey. He has agreed to me publishing it here. How did you first encounter Paddy? Maybe you can tell us in the comments section. Unlike probably everyone reading this I have yet to actually read any of Patrick Leigh Fermor’s books. In fact I’m ashamed to say that a year ago I hadn’t even heard of the man. But over the past twelve months I have found myself being inexorably drawn towards the man and his books. Unknowingly at first and then, after what I can only describe as a sort of literary epiphany, I realised that I was in the gravitational pull of a unique personality, a name that kept turning everywhere I looked. Gradually I came to terms with the realisation that I would be compelled to read his books. I am sure everyone has their own story on how they became acquainted with PLF but, as I stand on the precipice of opening one of his books for the first time, I thought I would describe how I arrived at this point. It all began about a year ago when I read Crete: The Battle and the Resistance by Antony Beevor. Beevor is one of my favourite authors and so, while not being especially interested in the war in Crete, I was confident that my investment would be rewarded. Amongst the broad sweep of battle Beevor describes the tale of a British SOE soldier who possessed a larger than life character. A man who captures a German general from under their noses and then marches him across the mountains with half the German army on his tail. It was a scintillating story but the name of the hero didn’t particularly register in my mind. A few weeks later I read Natural Born Heroes: The Lost Secrets of Strength and Endurance by another of my favourite authors, Christopher McDougall. McDougall’s stories of long distance runners provide great inspiration for those that are needing motivation to get down to the business of training for a marathon. In the book McDougall writes of ancient Greek demigods who had discovered the secrets of endurance running. Switching to the twentieth century, he describes in reverential tones the superhuman endurance of a British soldier called Paddy who possessed the same qualities. It’s the same guy. OK. So it’s a good tale and worth retelling but surely this was just coincidence. Sure, it’s a great yarn about the Battle of Crete and it also works as a modern day fable about god-like feats of endurance. But this was just one of those things right? The sort of tale anyone writing about Crete includes. Then several months later I booked a romantic weekend in Brasov, Transylvania, for my wife’s birthday. A rare opportunity for us to get away without the kids and visit somewhere slightly off the beaten track. To get to know the place better I decided to do my homework and read up on Romania. These days, tied down by kids and mortgages, my wanderlust is largely restricted to armchair adventures. Travel books and histories providing an enjoyable way of vicariously travel the world. I picked up Anthony Eales Blue River, Black Sea , a light and enjoyable read recounting his journey by bicycle and boat from the source of the Danube down to the Black Sea. Eales opens by describing how he decided to emulate the journey some guy called Patrick Leigh Fermor made in the 1930s down the Danube who also happened to kidnap a German general in Crete…. Hang on a minute? Kidnapped a German general in Crete? This can’t be the same bloke can it? It’s at that point I turn to Google. Who was this guy? A good story can be a matter of circumstance; a combination of events that a person can just be caught up in. But appearing heroic in two separate dramas suggests a character that possesses something special. A man who “drank from a different fountain” as some might say. I quickly found myself getting up to speed on the basics – SOE, renowned travel writer, author of three books about walking across Europe in the 1930s, the last of which was edited by Colin Thubron and Artemis Cooper. This was sounding good. I like Colin Thubron. And Artemis Cooper? That’s a name that rings a bell? Of course! – she co-wrote Paris After the Liberation: 1944 – 1949 with Beevor (which I also just read). Another Google search and I realise that Beevor and Cooper are married and obviously share an admiration for PLF. And – just to reinforce the impression that everything was in some way joined up and connected to the man – it turns out that Cooper is the daughter of John Julius Norwich whose A History of Venice I read in August. I was beginning to get the feeling that Patrick Leigh Fermor was something special. I was in the orbit of something that deserved further investigation. My armchair exploration of Romania continued through the Autumn and it soon felt as if all roads led to Patrick Leigh Fermor. The author Nick Thorpe talks about him in The Danube: A Journey Upriver from the Black Sea to the Black Forest while travelling along the Danube in the opposite direction to Eales. Nick Hunt follows in his footsteps in Walking the Woods and the Water: In Patrick Leigh Fermor’s Footsteps from the Hook of Holland to the Golden Horn . William Blacker quotes him extensively in Along the Enchanted Way: A Story of Love and Life in Romania (which incidentally is one of the loveliest books I have read in a long time) and Dervla Murphy contrasts 1990s Romania with his descriptions of the 1930s in Transylvania and Beyond . Georgina Harding quotes him in In Another Europe: A Journey to Romania . At times it felt as if everyone who had ever visited Romania in the past 40 years had read his books. With his writing venerated by so many, the signs were clear that I needed to read him for myself. Here was someone who is not only considered one of the best travel writers ever but someone whose books inspired so much else that I read and enjoyed. My curiosity piqued I enthusiastically went on a bookstore spending spree and purchased all three books of the trilogy as well as his biography. The books have sat patiently on my bedside table for some time now, but the moment of turning that first page is fast approaching. Logically the trilogy should form part of my Romanian literary journey but I have purposely set them aside and held back until the moment is right. The books may be the finalé to my Romanian odyssey but I feel as if they may also be first steps of an entirely new journey. It’s rare to have such a sense of anticipation ahead of reading a new book. Such a build up runs the risk of the reality failing to live up to the expectation and I am nervous that perhaps I may not find his books as exquisite as I have come to imagine them to be. But on the other hand I am reassured with the knowledge that I am following in the footsteps of many others. And now to turn that first page and follow path that is well trodden; one which all of those who are reading this will have already travelled…. This entry was posted in A Time of Gifts, Between the Woods and the Water, In Paddy's Footsteps, Romania, Volume Three - The Broken Road and tagged Anthony Eales, Antony Beevor, Artemis Cooper, Christopher McDougall, georgina harding, John Julius Norwich, Nick Hunt, Transylvania, william blacker on January 29, 2017 by proverbs6to10. 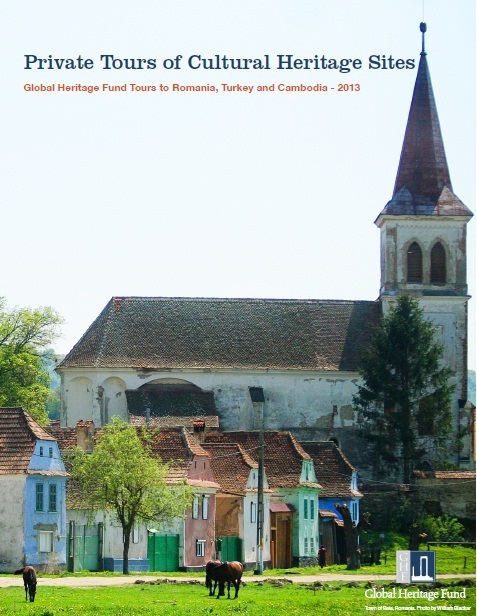 Global Heritage Fund UK and the Anglo-Romanian Trust for Traditional Architecture (chaired by William Blacker) have begun a project to protect and restore the cultural landscape of the Saxon villages of Transylvania. The beautiful buildings are in desperate need of repair using only the traditional materials from the new kiln, and local people are in need of jobs. To address this, Global Heritage Fund is raising money to build a traditional brick and tile making kiln. Run by a Romanian expert, this kiln will directly employ locals and provide much-needed materials for the on-going work of restoration and conservation of the early vernacular buildings. A crowd-funding site has been established to raise $20,000, of which they have raised almost $5,000, and I support the attempt. If you would like to know more, and to donate, please visit the crowdfunding page here. 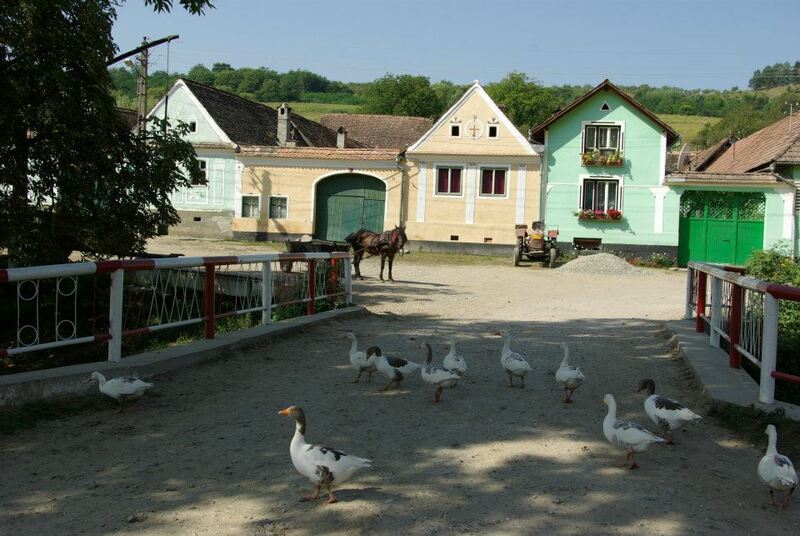 This entry was posted in Between the Woods and the Water, Romania and tagged Global Heritage Fund, Saxon villages, Transylvania, william blacker on May 8, 2013 by proverbs6to10.